Anna Faris and Eva Longoria sparkled on the red carpet at the premiere of ‘Overboard’ on Monday night at the Regency Village Theater in Westwood. They were joined by their co-star Eugenio Derbez and his wife Alessandra Rosaldo to promote the remake of the 1987 romantic comedy film of the same name. While the pregnant Eva showed off her baby bump in a long sleeve sheer tulle black printed dress courtesy of Alberta Ferretti and Gianvito Rossi heels, Anna shimmered in a custom strapless rose-gold dress by Jeffrey Dodd. The 41-year-old actress accessorized with sandals by Brian Atwood. 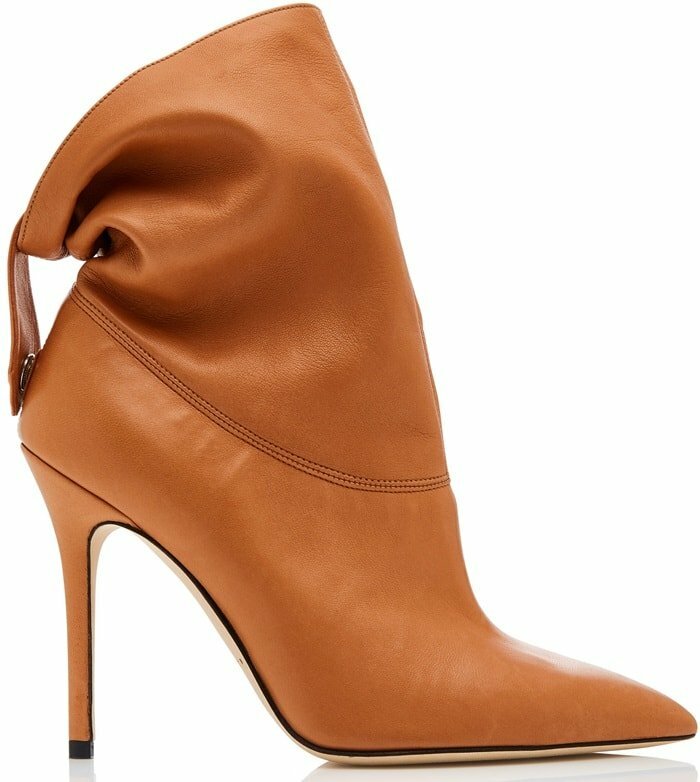 While her shoes are not available online, you can browse Brian Atwood’s latest collection at Moda Operandi. 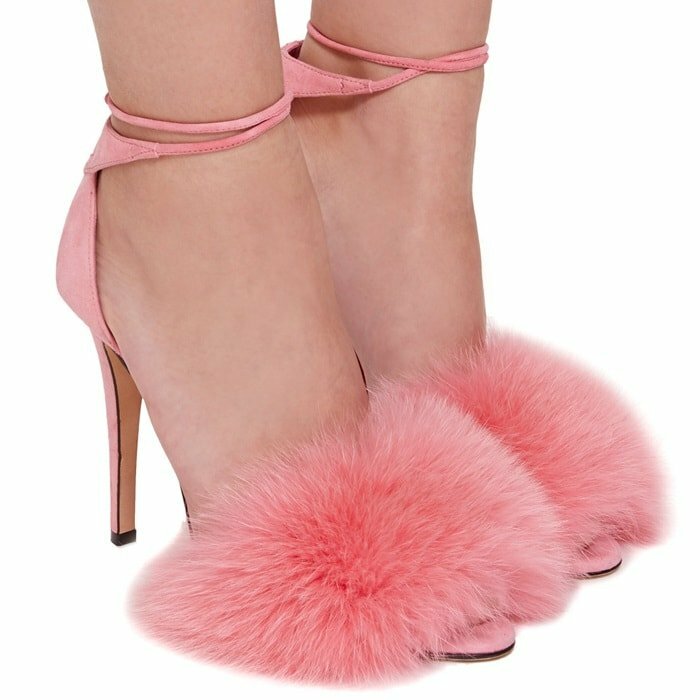 His versatile and seductive styles are inspired by the “disco jungle.” If you think the prices are too high, you can find great alternatives from $10 at JustFab and ShoeDazzle. 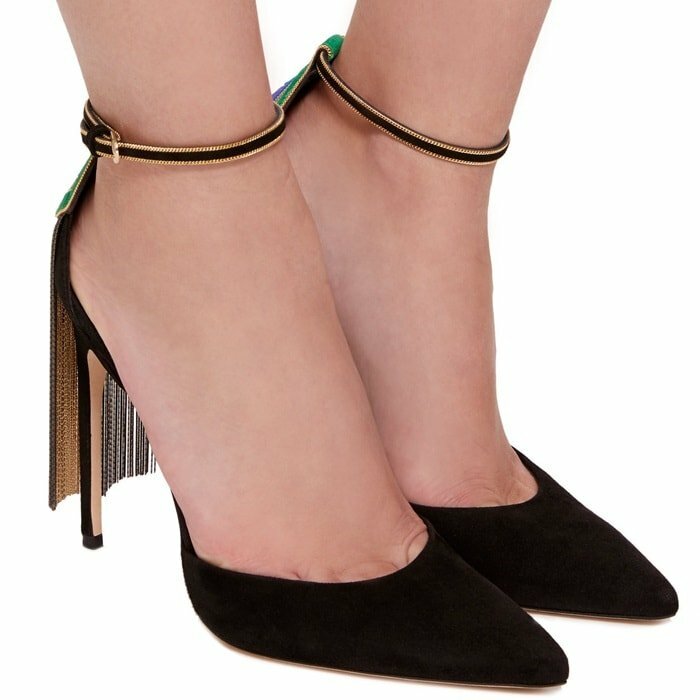 This sandal is rendered in velvet and features a minimalist silhouette and ankle embellishment. This sandal is rendered in kid suede and features an applique embellishment and stiletto heel. 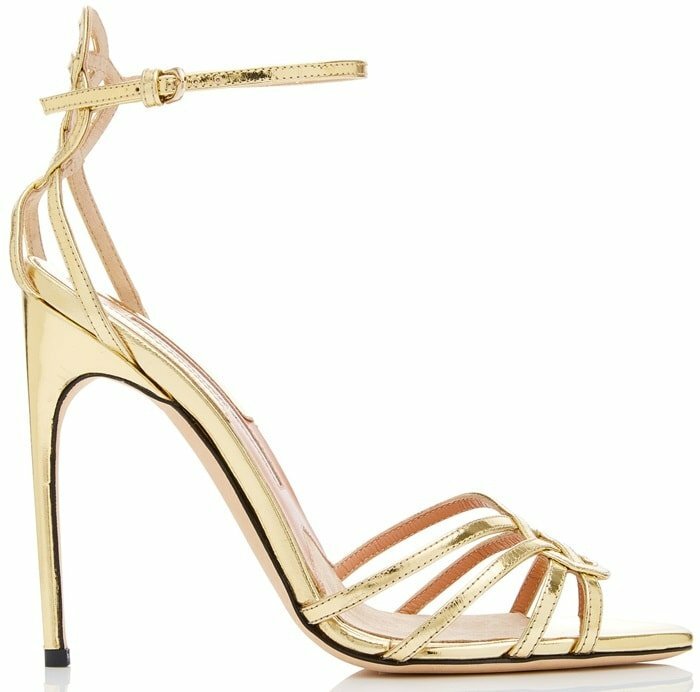 This sandal is rendered in specchio leather and features a strappy detail and metallic finish. This silver nappa sandal is rendered in nappa leather and features a strappy detail and metallic finish. This almond toe sandal is rendered in kid leather and features a felt finish and cut-out detail. 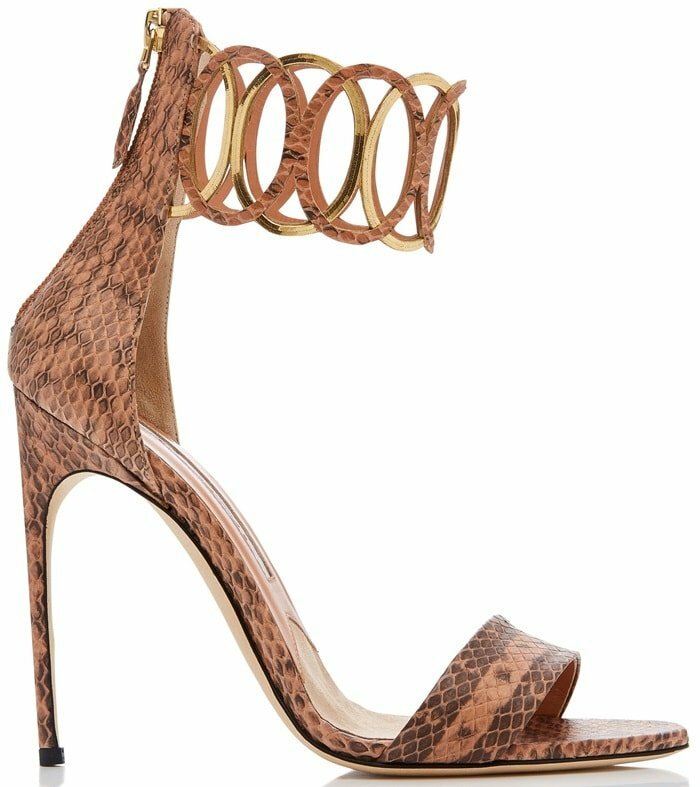 This sandal is rendered in python and features a minimalist silhouette and ankle embellishment. This sandal is rendered in kid suede and features a crystal embellishment and strappy detail. This sandal is rendered in kid suede and features a fringe embellishment and strappy detail. 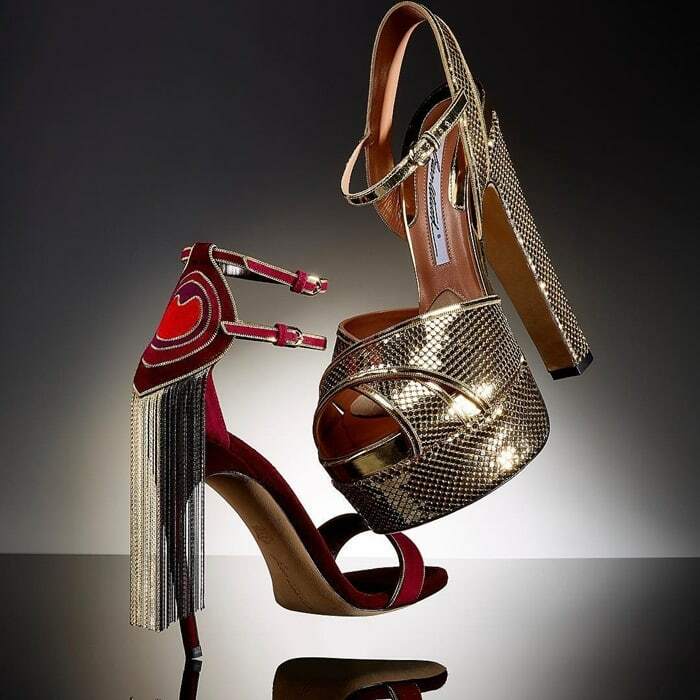 This sandal is rendered in specchio leather and features a metallic finish and platform detail. 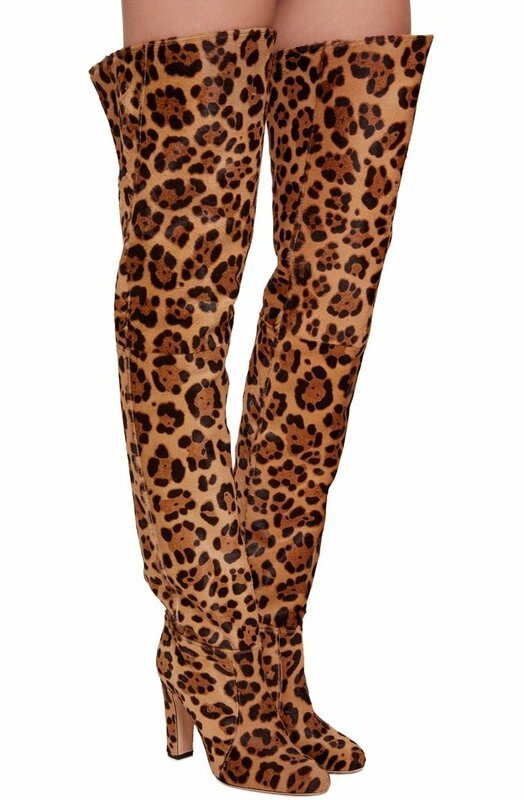 This boot is rendered in leopard fabric and features a minimalist silhouette and stiletto heel. 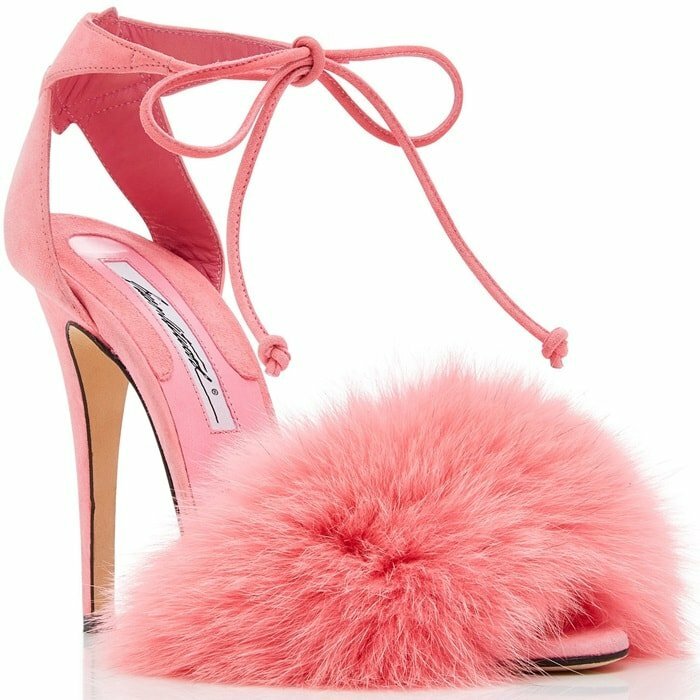 This sandal is rendered in pink kid suede and features a fur embellishment and strap detail. 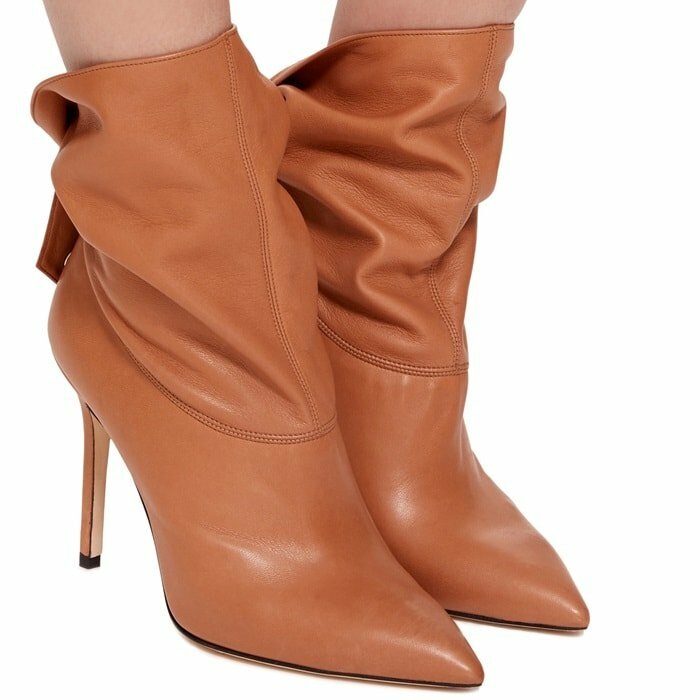 This bootie is rendered in nappa leather and features a stiletto heel and strap detail. 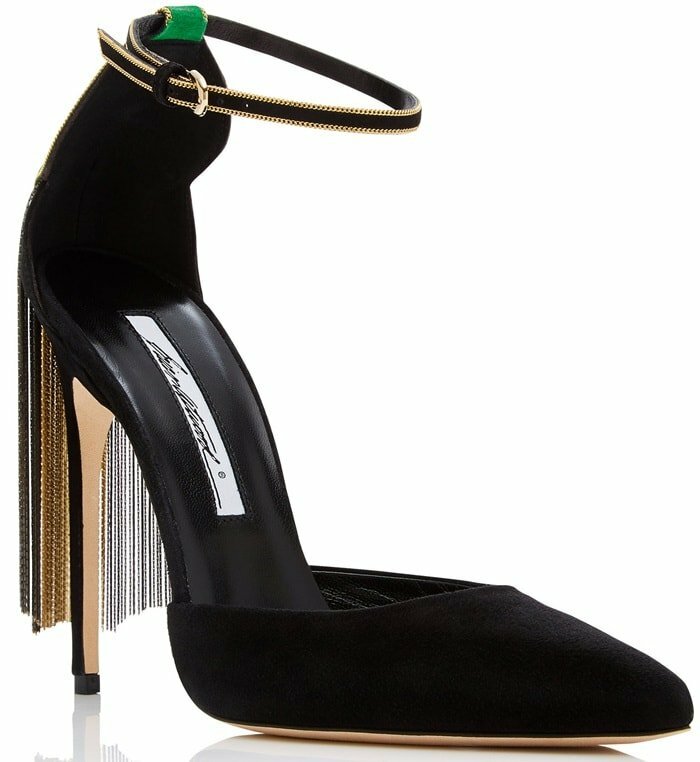 This black pump is rendered in suede and features a fringe detail and stiletto heel.